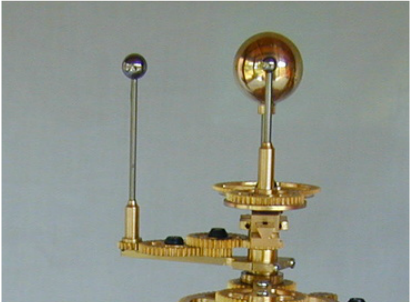 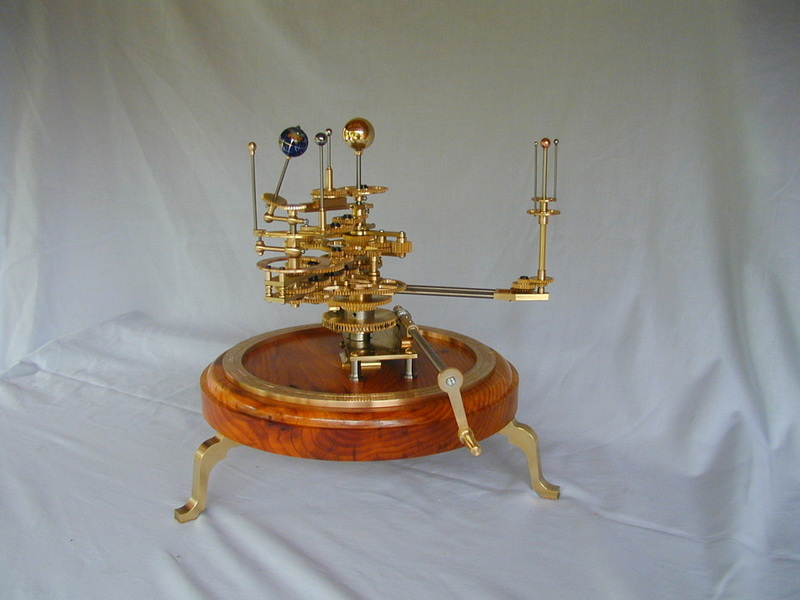 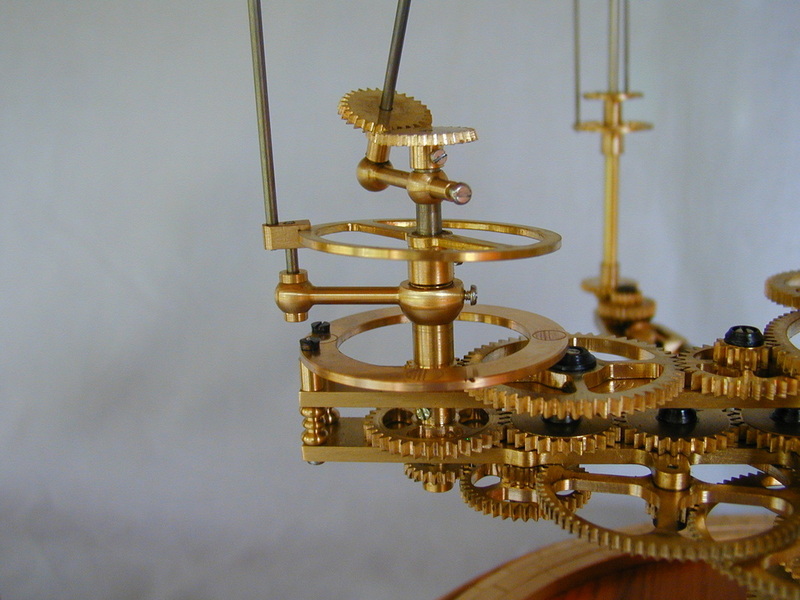 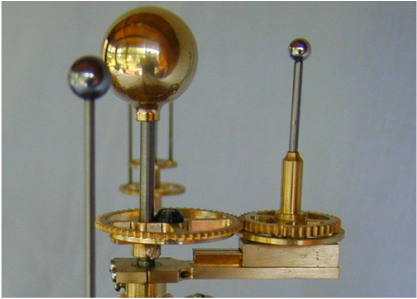 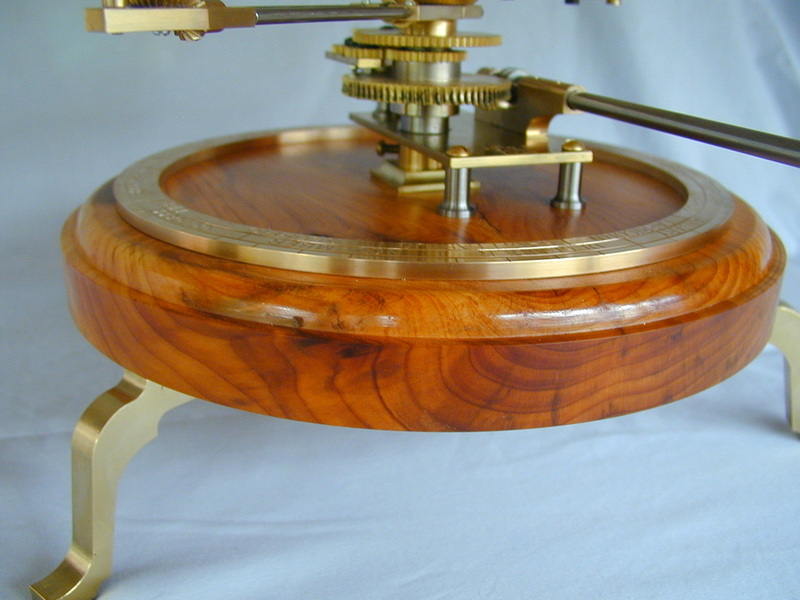 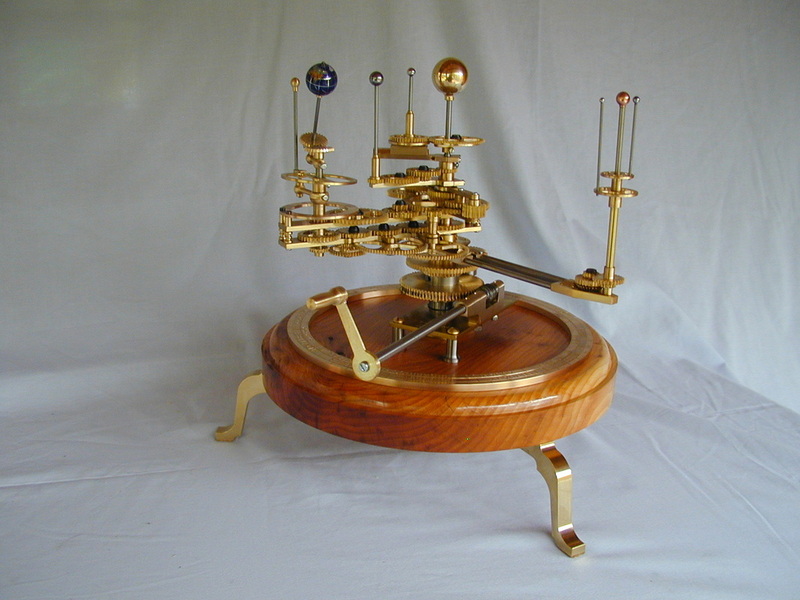 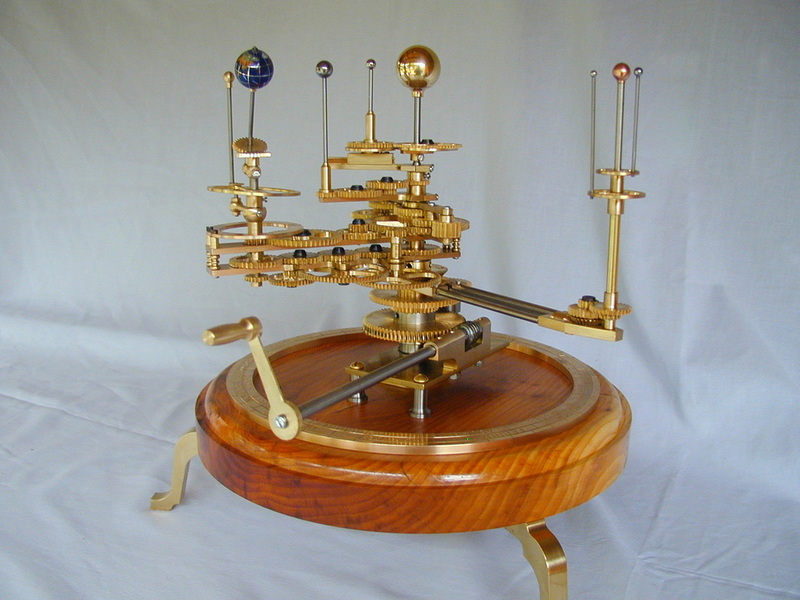 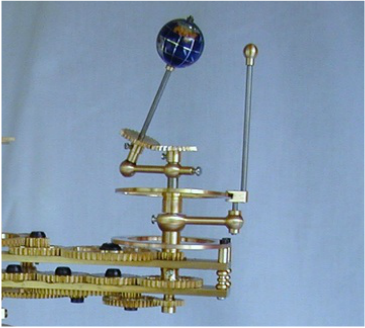 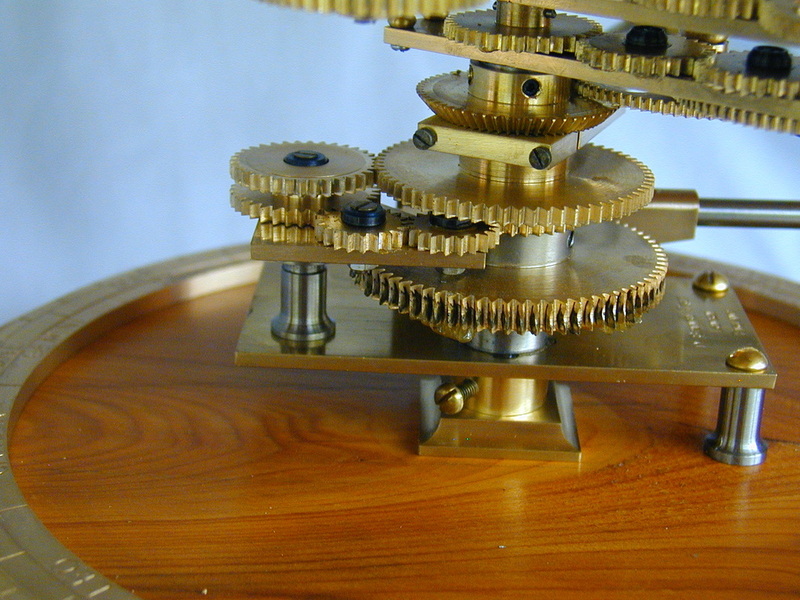 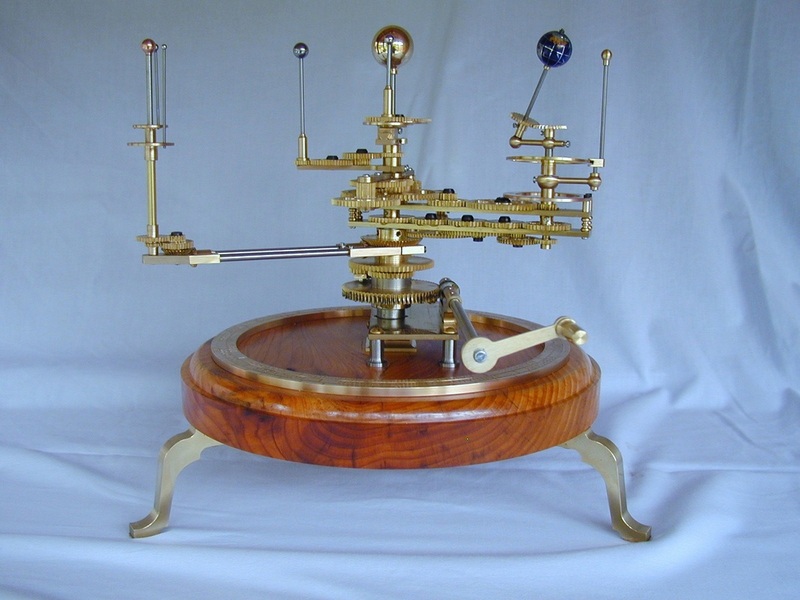 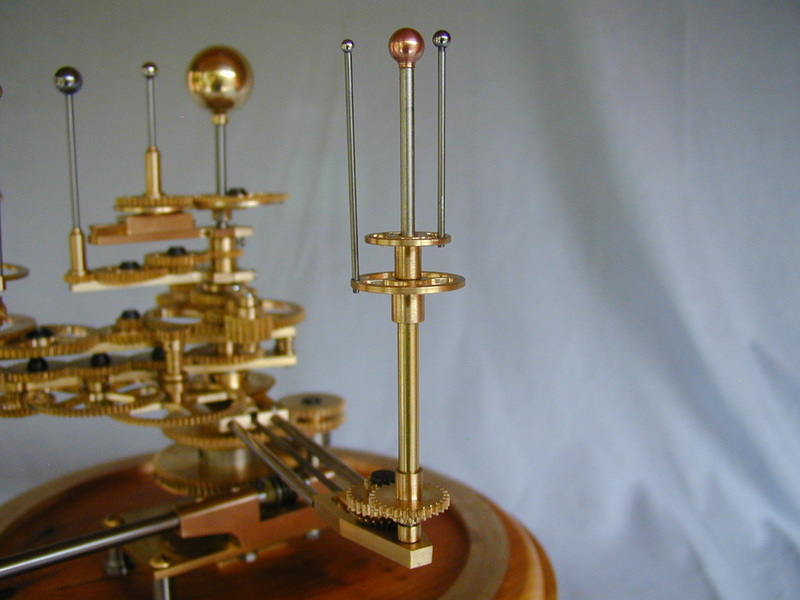 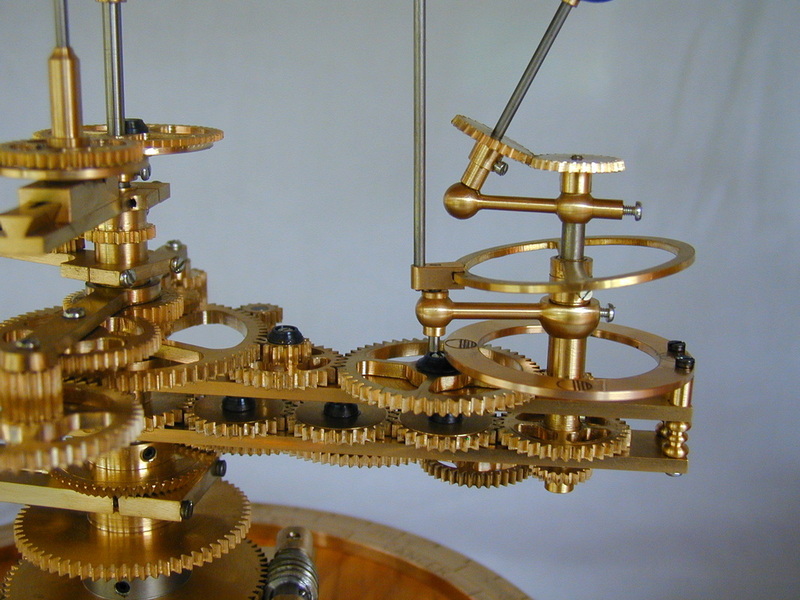 Inner Planet Orrery mounted on a Yew timber Base. 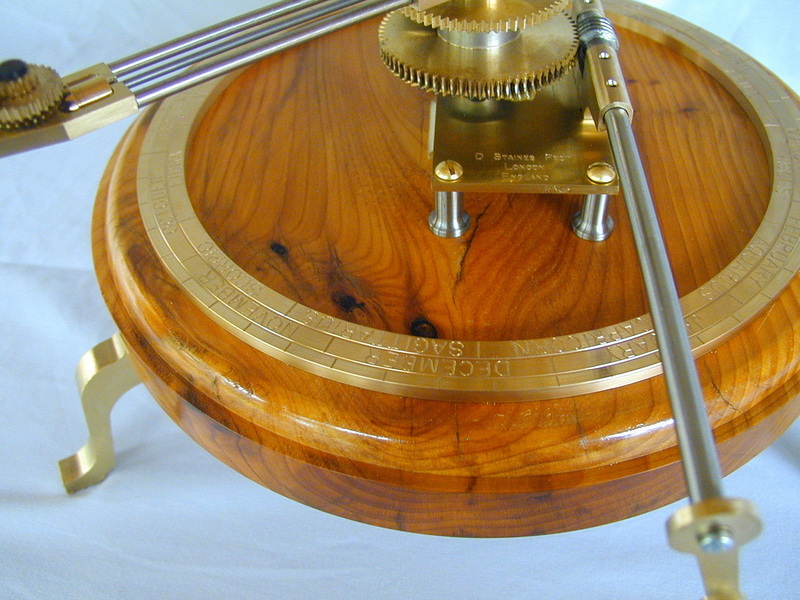 ​The Moon rises above and falls below the ecliptic as it orbits the Earth. 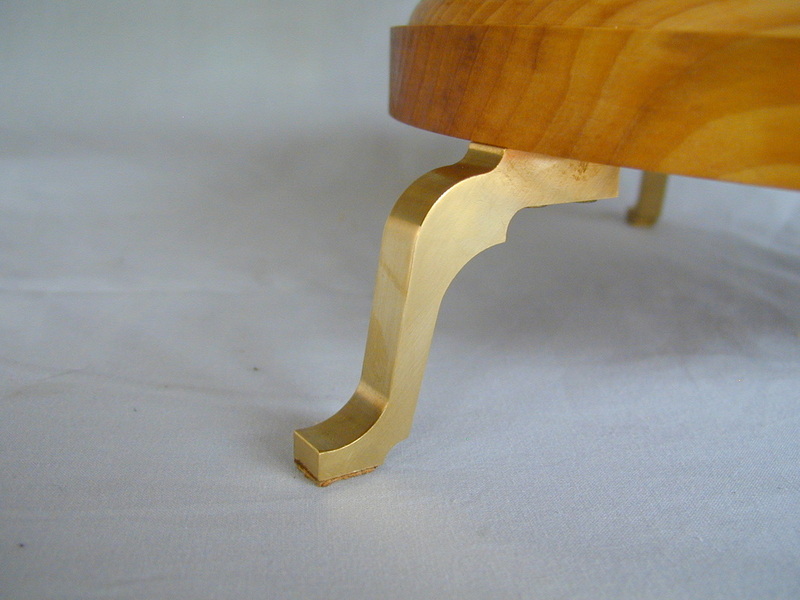 Bright and full of feature, Yew timber harmonises wonderfully with the brass tones.